I have a question about your other series the goddess summoning series will you be doing more? I just love that series. My fav. one is Goddess of spring. Will you do another one with hades and Lina being background characters? like in goddess of light? OMG! I can't wait for this, it's the one I have been waiting for ... I'm so excited for it's release. I got 'Revealed' for my birthday yesterday can't wait to start reading it. I thought Kalona's Fall was suppose to be a short story instead of a novella? Either way I am excited!!! Love Kalona! Stephanie - I would love to write another paranormal romance! The Goddess Summoning Series is a lot of fun (love Goddess of Spring!). I do have ideas for several more of them, and it's one of the things I'm thinking about after the HoN series. ChristinaCarol - I was considering doing Kalona's story as a full sized novel, but never a short story. My publisher asked me to choose the novella format with illustrations because it'll fit so well with the series. I'm excited about it! quick question: What are Thanatos's tattoos? I love Thanatos! I'm wondering if you are also thinking of making her a novella. I'd really like to know her much better, about her past and her present in House of Night and her thoughts about Kalona as her warrior. I read that the Warrior's Oath is more intimate than an Imprint but Thanatos and Kalona are not close - cordial, friendly - but not close close. Dang, I want to know what's inside her mind! SHE REALLY IS AMAZING! So, please please please, reconsider her! 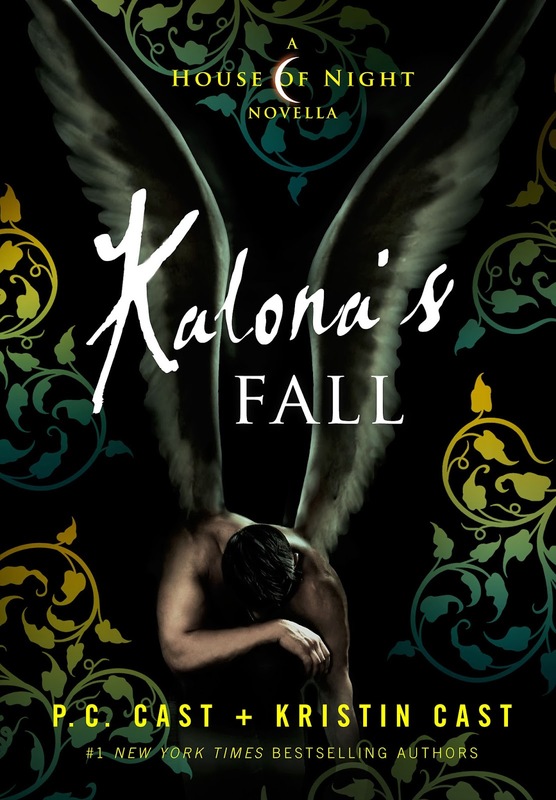 Looking forward to seeing what Kalona's story brings. I have only just started Revealed. I've been working, working, working which leaves little time for reading. I'm snatching minutes when I can though. (Scorching in OZ right now) I can't tell you how much it pleases me to hear you've got more Goddess Summoning book ideas. You know how much I heart them!! P.C-- you are an incredible writer. You have been my inspiration since 2005 when I first started reading, or trying to read, House of Night. Now I'm fifteen years old living in Florida and dying to go buy the latest installment of the series. You are truly my role model in so many ways. I've been trying to find ways in which to contact you, but I've made very little progress. I'm an actress in some minor movies thus far and I was really interested in the movie version of HON. I know you've stated that you want professionals, but if you give me a shot, I promise not to disappoint. I realize you probably get a million emails saying those exact words every week, but I truly mean it. I've worked with G-Star Productions since I was 10. If you could just point me to a some lead as to where to audition of how to contact someone, I'd be forever grateful. Happy Thankgiving! Hi Nessie - Kalona's relationship with Thanatos is based on respect. There is no romance between them. In REDEEMED you will see that they have become very close friends. Kalona's first and only true love is Nyx. P.C.- I wanted to ask you: is Zoey going to be on Redeemed's cover? And, would you consider either Kalona, Erin, or Thanatos instead of Zoey? It would be a nice change of pace. Jessica - we haven't begun cover work on REDEEMED yet. I can tell you that because Kalona's on this cover, he won't be on the last one. Erin will have been dead for 3 books, and a minor character anyway, so it doesn't makes sense to have her on a cover. And Thanatos is awesome, but she's not a major character. I would imagine the cover image will be Zoey or Nyx, but that's just a guess. Hi PC could you please do a goddess summoning novela on Medusa. I think u could make her inspiring! Hi Charris! Actually, I've thought about a Medusa retelling, and would very much like to do one. Great minds think alike!